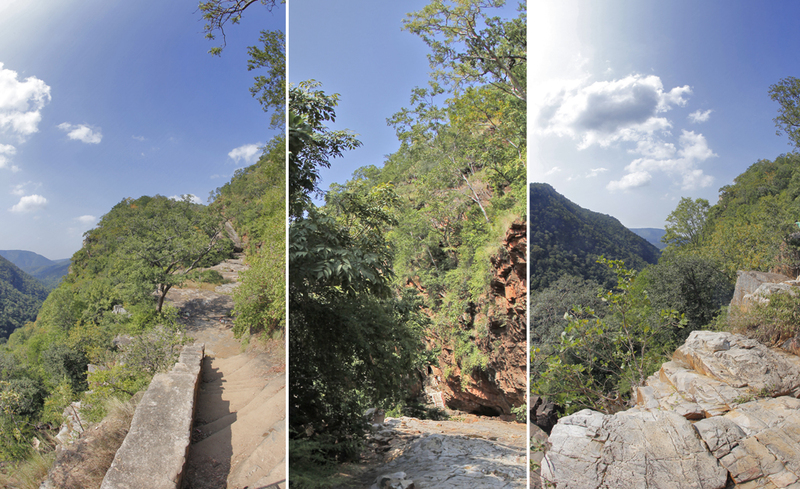 Ahobilam is located in Karnool district of Andhra Pradesh in the hills of the eastern ghats, Situated in the Nallamalai Hills, Ahobilam is about 24 Kms. from Allagadda Taluk Headquarters, 112 Kms. from Cudappah and 65 Kms. from Nandyal in Andhra Pradesh and can be reached by bus from Hyderabad and also by rail via Kurnool and then by bus from there. Ahobilam is the place where the Lord killed Hiranyakasipu and saved Prahalada. On insistance of prayers by the Devaganas, to cool down the angry Narasimha, Sri Mahalakshmi manifested as Chenchulakshmi among the Chenchus, tribal hunters of the hills, and married the Lord. The manifestation of Narasimha Avatara is 4th in the order of Lord Sri Mahavishnu’s Dashavataras. Garuda worshiped here for the Lord to see him in the manifestation of Nrisimha Avathara. To fulfill his wish, the Lord settled in the hills around Ahobilam in the midst of dense forests in nine different forms. For this reason this hill came to be known as Garudadri, Garudachalam, and Garudasailam. The temple consists of nine shrines to Lord Nrisimha located around a 5 KM circle. In addition to the nine shrines, there is a temple for Prahaladavarada Varadhan in the foothills of the mountain.All the 9 manifestations of the Lord Narasimha can be visited here in the serenity of Nallamala range and the experience is unforgettable and awesome to the extent one would allways wants to come back time and again. The Bhargava Narasimha Swamy is situated at a distance of two kilometres from the Lower Ahobilam, on a hill, near the sacred pond, known as ‘Bhargava Theertham’, where Bhargava Rama performed his tapasya. Hence the Lord of the temple is known as Bhargava Narasimha Swamy. About three kilometres from lower Ahobilam, the manifestation of the deity is under a peepal tree, surrounded by thorny bushes. Hence, the Lord is called as Chatravata Narasimha Swamy. 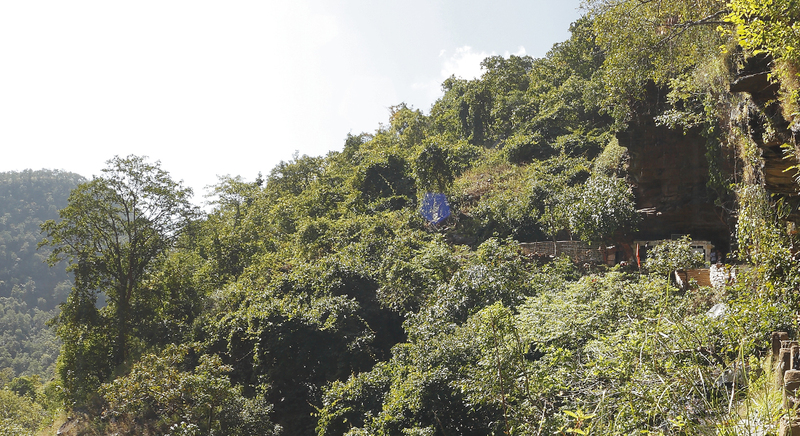 The small shrine, situated in a cave on the hill, is in between Ugra Sthambham and the Upper Ahobilam. It is dedicated to Prahlada Narashimha Swamy. The image of Prahlada is carved in a small cave.